Don’t Stop ‘Til You Plan Enough! According to a recent article in the Wall Street Journal, the estate of everyone’s favorite moonwalker, Michael Jackson, could be in hot water with the most beloved of federal government agencies – the IRS. Most would shrug their shoulders at this news – indeed, newspapers have never lacked for stories about Michael Jackson and his estate. Even while he was still alive, countless reports and rumors swirled in Hollywood and beyond describing the depth and severity of his financial woes. But the singer’s sudden and unexpected death in May 2009 precipitated a scramble among the most senior members of the Jackson clan to claim a cut of their late loved one’s assets. Estates of celebrities, athletes, public figures, and luminaries of all types – always prove rather interesting. When such a vast amount of wealth is involved, the nature of an estate’s provisions and mechanisms can prove quite illuminating about the person to whom the estate belonged. 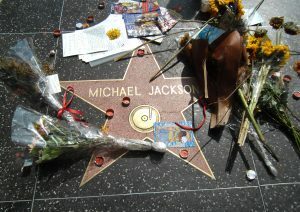 Michael Jackson is no exception, although the goings-on with his estate have proved contentious for years – marred by accusations and aspersions between the family, Michael’s close friends, and his advisers and managers, about the motives of each party and the veracity of claims to assets. The latest chapter in the King of Pop’s estate saga centers on the asserted financial valuation of his “name and likeness” at the time of his death. For public figures – especially those for whom financial livelihood has come by way of fame, a decedent’s name and likeness is an integral part of his or her estate, and depending on the person, can be worth millions of dollars. Should the executors of the estate decide to grant legal license to some entity for its usage of the famous decedent’s name and likeness – to a studio for the production of a biopic, for example. Because a famous decedent’s name and likeness constitutes a potential source of future income for the estate, the value of the person’s likeness, as well as the likelihood of it being used by the estate to generate profit, is considered part of an estate’s taxable assets. Because the value of a decedent’s name and likeness is taxable, the representatives of an estate always have incentive to undervalue its worth, as a means to lessen the estate’s tax burden. This is exactly the conflict, which is now playing out between the IRS and lawyers representing Michael Jackson’s estate in U.S. Tax Court. The IRS claims that Jackson’s estate owes upwards of $500 million in back taxes, and $200 million in tax penalties for undervaluing the Thriller star’s name and likeness. In contrast to Jackson’s estate lawyers, who who argue that Jackson’s brand plummeted as a result of the very public accusations of molestation and child abuse lodged against him, the IRS calculates his name likeness was worth a cool $161 million at the time of his death – a far cry from the paltry $2,105 asserted by the estate’s lawyers. It will be interesting to see how the judge in the tax court rules in this case, given the stakes for future attempts by estates to undervalue their famous namesakes’ brands in order to escape higher taxes. Whatever the outcome, the contested case drives home once more the sheer importance of planning diligently for your estate, and updating it frequently to reflect changing life circumstances. While most of us do not have famous names and brands, we do have cherished assets and loved ones, for whom we wish to protect and plan. And for this reason, I always say – Don’t Stop ‘Til You Plan Enough!